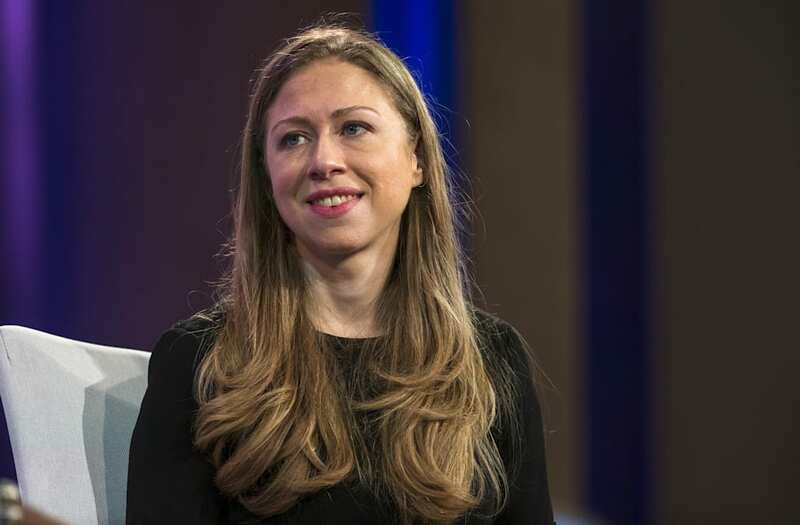 Chelsea Clinton has responded to Donald Trump's early morning Twitter claims that the media would have treated Hillary Clinton's daughter differently than his own, who was criticized for temporarily filling the president's seat at the G20 Summit. "Good morning Mr. President. It would never have occurred to my mother or my father to ask me. Were you giving our country away? Hoping not," Clinton wrote. Trump fired off a Twitter storm on Monday morning, retweeting a variety of "Fox & Friends" segments and defending his daughter Ivanka holding his seat. He wrote, "When I left Conference Room for short meetings with Japan and other countries, I asked Ivanka to hold seat. Very standard. Angela M agrees!" He continued: "If Chelsea Clinton were asked to hold the seat for her mother,as her mother gave our country away, the Fake News would say CHELSEA FOR PRES!" Although UK Prime Minister Theresa May's aide briefly took her place while she stepped out, it was Trump's action that fired up critics, sparking accusations of nepotism when the president's daughter took a seat between May and Chinese President Xi Jinping during a session titled "Partnership with Africa, Migration and Health." According to the Agency France-Presse, a White House official emphasized that "when other leaders stepped out, their seats were also briefly filled by others."